Happy World Cardmaking Day! And the fun continues even more! 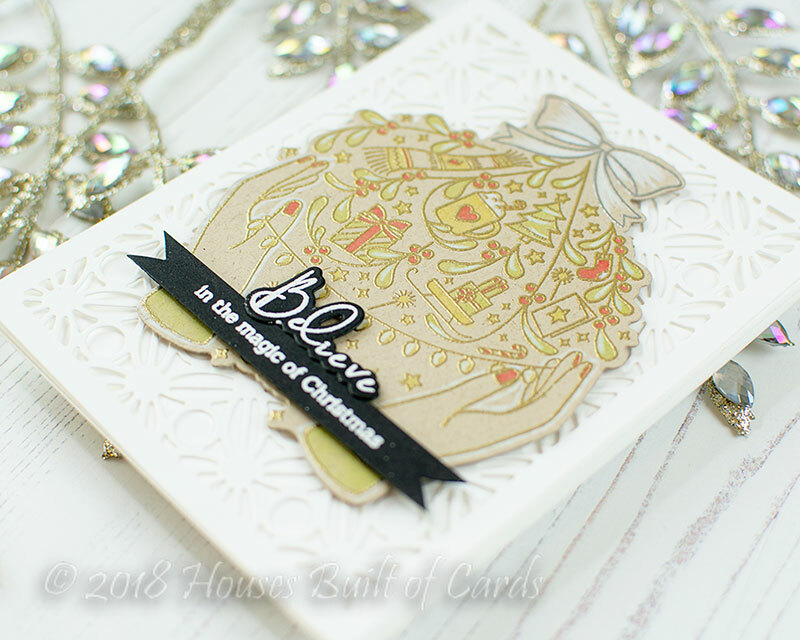 Today is a day filled with fun and crafting, and I am excited to be joining in on all the festivities in many different ways - one of them with Pinkfresh Studio, who has chosen to reveal a very special stamp & die set today called "Share Cheer" - available for purchase now! You can find it HERE! When you purchase this stamp set, 100% of the net profits will benefit UNICEF. This organization was chose because they help children and operate in more countries than any other humanitarian organization. UNICEF works in 190 countries and territories and in the world's toughest places to reach the children and young people in greatest need. You can learn more about what they do HERE. You should have arrived here from Erum Tasneem - if you just happened along, make sure and head back to begin at the Pinkfresh Studio Blog so you don't miss a stop along the way! Now...onto my card I have to share today using this fabulous new set!!! 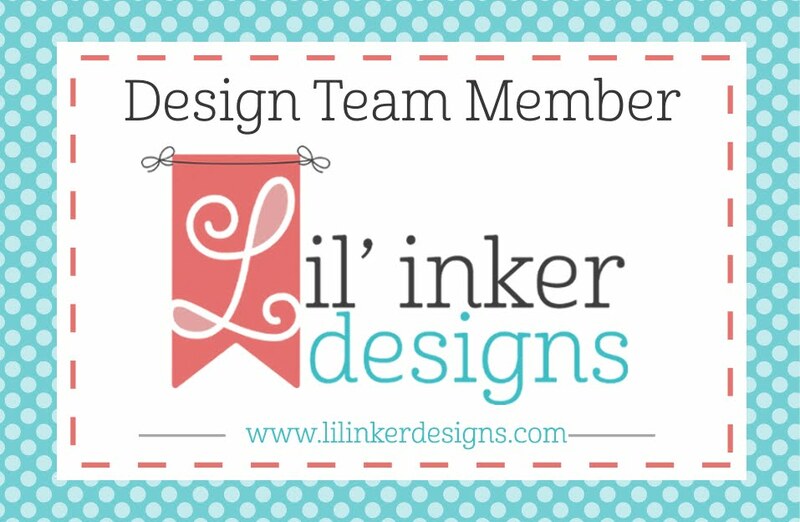 I started off by die-cutting a background using Geo Floral Background Die. I cut it from white cardstock to layer on a white cardbase - a nice soft subtle texture! Next, I die cut the main image panel from kraft cardstock, them using my MISTI to line it up, I stamped the bottom and heat embossed in gold, then stamped the bow on the top and heat embossed in silver. I colored with Copics and a white colored pencil to add accent details. Finally, I heat embossed the sentiment in black, die cutting the "believe" with the coordinating dies, and trimmed the other part into a thin strip and cutting banner edges on the side. The spirit of this campaign is about giving, and we are grateful for those who are able to purchase this adorable stamp/die for a good cause. But in the spirit of giving, Pinkfresh is going to do 7 giveaways of holiday themed stamp sets! Four of the winners will be drawn from all of the blog comments, and 3 of them from the Card Drive link-up. So, by commenting and creating you have chances to win some adorable Pinkfresh Holiday sets! Winners will be drawn and posted on Sunday, October 21st on the Pinkfresh Giveaway Page. Winners much check that page and claim their prize within 2 weeks. The Card Drive link list will stay open until November 30th for those wanting to participate, but will not be eligible to win after October 21st. 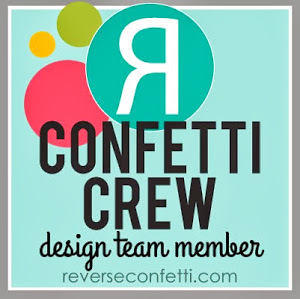 Your next stop along the way is Julie Ebersole - make sure and hop over there next to see what she has created to share! Product links are all below - including affiliate links where possible (no affiliate used for the Share Cheer stamp and die set, due to the charitable nature of it) , which simply means if you use one of the links below, I receive a small commission at no additional cost to you. Thanks so much for stopping by - have a wonderful day!!! The gold embossing was a great choice for this stamp set! Elegant! 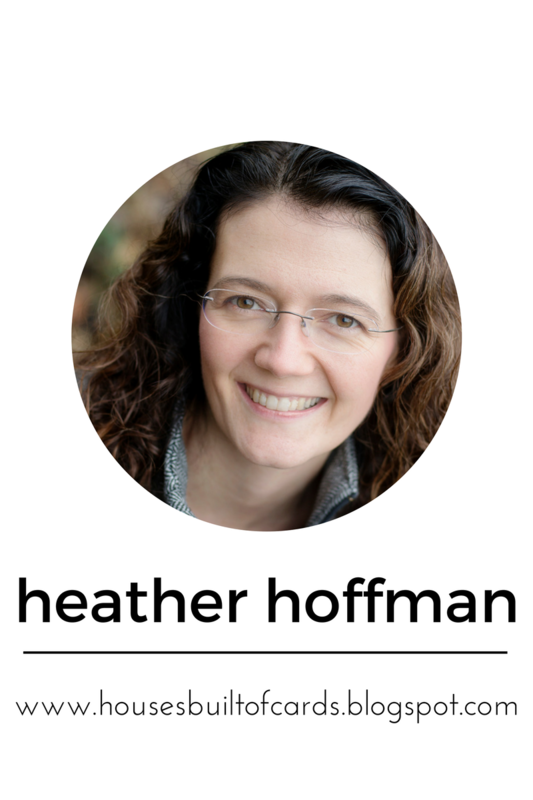 Very pretty, Heather! I love your neutral color palette! Your neutral image looks so lovely on that splendid die cut BG. colors. Your card is restful and serene. 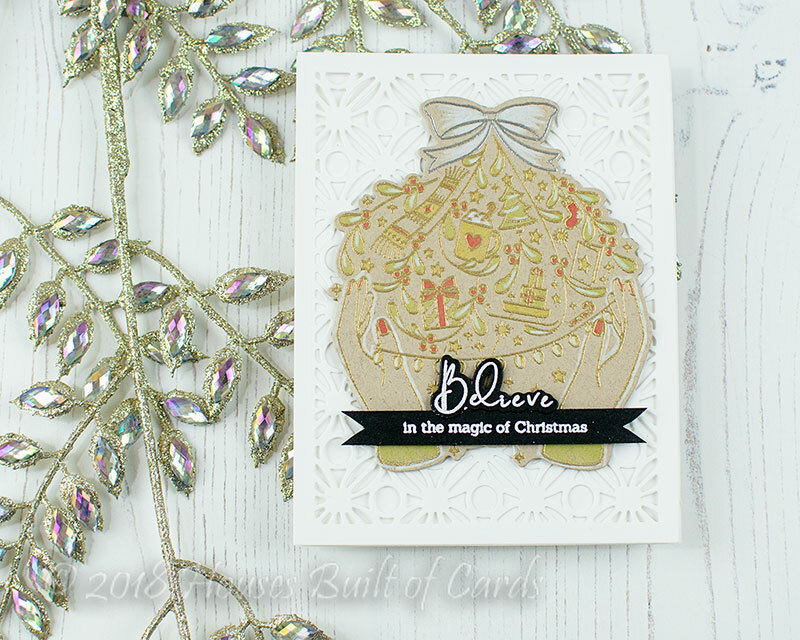 Lovely card, fun layers and so cheerful! I LOVE your beautiful card, Heather! It reminds me of a holiday ornament! Love the color palette too! Not sure if I like the gold embossing or the background better. Gorgeous card! Happy WCMD! I love how you did the sentiment in black and white! Really pops off the card! Elegant card and a wonderful project! Love the Share Cheer stamp set! What a fun set! Your card is precious. This card is gorgeous and elegant. Thanks for sharing. Love the choice of colors, it definitely makes the card look elegant. 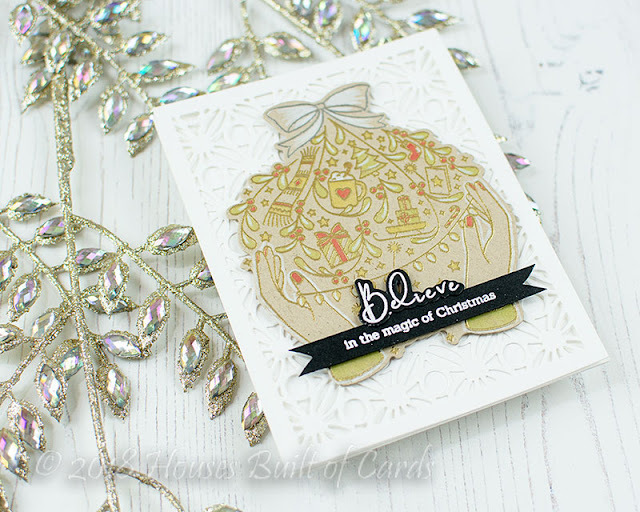 The gold embossing gives this an extra touch of sparkle and shine! I think your card is very beautiful. Thank you for the inspiration and for this pretty stamp set for a cause. Love heat embossing and craft paper detail. Your card is so lovely. Thanks for the inspiration. Sweet card! That die is a greta background for this lovely stamp set. Ooo, the kraft on white is a fabulous look for this stamp. And your color palette and coloring really helps bring out all the details without it being overwhelming. Thanks so much for sharing! I like the subtle background of your card. The soft color palette works for this card! Great job! Such a beautiful and wonderfully elegant card! Fabulous inspiration. Love this Campaign! I'm totally in love for your gorgeous card!!! Beautiful colors!!! This is so pretty in gold and kraft! I love that stamp. It’s a very elegant card with beautiful colors. Very nicely done. Inspiration galore! Gorgeous and elegant colors. great cause and great card!